The Katyn massacre was a series of mass executions of Polish officers and intelligentsia carried out by the Soviet Union, specifically the NKVD in April and May 1940. Though the killings took place at several places, the massacre is named after the Katyn Forest, where some of the mass graves were first discovered. The Molotov–Ribbentrop Pact was a neutrality pact between Nazi Germany and the Soviet Union signed in Moscow on 23 August 1939 by foreign ministers Joachim von Ribbentrop and Vyacheslav Molotov, respectively. The Soviets often failed to honour the terms of surrender. In some cases, they promised Polish soldiers freedom after capitulation and then arrested them when they laid down their arms. Some Polish soldiers were murdered shortly after capture, like General Józef Olszyna-Wilczyński, who was taken prisoner, interrogated and shot on September 22, during the invasion itself. On September 24, the Soviets murdered forty-two staff and patients at a Polish military hospital in the village of Grabowiec near Zamość. After a tactical Polish victory at the battle of Szack on September 28, where the combined Korpus Ochrony Pogranicza (KOP) or Border Protection Corps forces, under General Wilhelm Orlik-Rueckemann, routed the Soviet 52nd Rifle Division, the Soviets executed all the Polish officers they captured. The Soviets also executed hundreds of defenders at Grodno, the exact number of those killed has not been established. Józef Konstanty Olszyna-Wilczyński[ˈjuzɛf ɔlˈʂɨnavilˌt͡ʃɨɲski](listen) was a Polish general and one of the high-ranking commanders of the Polish Army. A veteran of World War I, the Polish-Ukrainian War and the Polish-Soviet War, he was executed by the Soviets during the Invasion of Poland of 1939. Grabowiec is a village in Zamość County, Lublin Voivodeship, in eastern Poland. It is the seat of the gmina called Gmina Grabowiec. It lies approximately 24 kilometres (15 mi) north-east of Zamość and 84 km (52 mi) south-east of the regional capital Lublin. Zamośćpronounced [ˈzamɔɕt͡ɕ] is a city in southeastern Poland, situated in the southern part of Lublin Voivodeship, about 90 km (56 mi) from Lublin, 247 km (153 mi) from Warsaw and 60 km (37 mi) from the border with Ukraine. In 2014, the population was 65,149. 17 days after the German invasion of Poland in 1939, which marked the beginning of the Second World War, the Soviet Union invaded the eastern regions of Poland, which Poland re-established during the Polish–Soviet War, and annexed territories totaling 201,015 square kilometres (77,612 sq mi) with a population of 13,299,000. Inhabitants besides ethnic Poles included Czech, Lithuanian, Belarusian, Ukrainian, Jewish, and other minority groups. The Geneva Convention (1929) was signed at Geneva, July 27, 1929. Its officianame is the Convention relative to the Treatment of Prisoners of War, Geneva July 27, 1929. 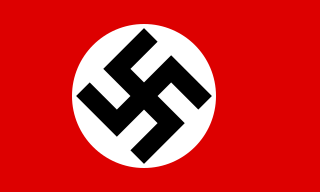 It entered into force 19 June 1931. It is this version of the Geneva Conventions which covered the treatment of prisoners of war during World War II. It is the predecesor of the Third Geneva Convention signed in 1949. Diplomatic relations were, however, re-established in 1941 after the German invasion of the Soviet Union forced Joseph Stalin to look for allies. Thus the military agreement from August 14 and subsequent Sikorski–Mayski Agreement from August 17, 1941, resulted in Stalin agreeing to declare the Molotov–Ribbentrop Pact in relation to Poland null and void,  and release tens of thousands of Polish prisoners-of-war held in Soviet camps. Pursuant to an agreement between the Polish government-in-exile and Stalin, the Soviets granted "amnesty" to many Polish citizens, from whom a military force was formed. Stalin also agreed that this military force would be subordinate to the Polish government-in-exile. This force was known as the Anders Army. From 1943 Poles were recruited into the Berling Army. The third group of Polish prisoners were members of Polish resistance organizations ( Armia Krajowa , or 'cursed soldiers') loyal to the Polish government-in-exile and seen by the Soviets as a threat to their establishment of a power base in Poland. Relatively few were sent to the Soviet Union (although there were notable exceptions, see Trial of the Sixteen); most were transferred to the Polish communist security forces and prisons, or enlisted in the Berling Army. It's estimated that over six million Polish citizens, divided nearly equally between ethnic Poles and Polish Jews, perished during World War II. 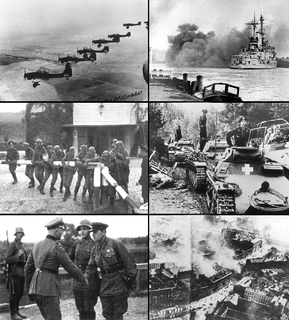 Most were civilians killed by the actions of Nazi Germany, the Soviet Union and their respective allies. At the Nuremberg Tribunal, three categories of wartime criminality were established: waging a war of aggression, war crimes, and crimes against humanity. These three core crimes of international law were set apart from other crimes, and for the first time since the end of the war categorised as violations of fundamental human values and norms. They were committed in occupied Poland on a tremendous scale. Konstanty Plisowski of Odrowąż was a Polish general and military commander. He was the Commander in the battle of Jazłowiec and the battle of Brześć Litewski. He was murdered on Stalin's orders in the Katyn massacre. Brigadier General Mieczysław Makary Smorawiński (1893–1940), was a Polish military commander and officer of the Polish Army. He was one of the Polish generals identified by forensic scientists of the Katyn Commission as the victim of the Soviet Katyn massacre of 1940. Stanisław Swianiewicz was a Polish economist and historian. A veteran of the Polish-Bolshevik War, during World War II he was the only survivor of the Katyn Massacre and an eyewitness of the transport of Polish prisoners of war to the forests outside Smolensk by the NKVD. Leon Billewicz was a Polish officer and a General of the Polish Army. He was murdered during the Katyń massacre. Bronisław Bohatyrewicz of Ostoja (1870–1940) was a Polish military commander and a general of the Polish Army. Murdered during the Katyn massacre, Bohatyrewicz was one of the Generals whose bodies were identified by forensic scientists of the Katyn Commission during the 1943 exhumation. Alojzy Wir-Konas was a Polish military commander and the Colonel in the Polish Army. Serving as Divisional Commander during the Invasion of Poland, he was murdered in the Katyn massacre. Piotr Skuratowicz was a Polish military commander and a General of the Polish Army. A renowned cavalryman, he was arrested by the NKVD and murdered in the Katyn massacre. Katyn war cemetery is a Polish military cemetery located in Katyn, a small village 22 kilometres away from Smolensk, Russia, on the road to Vitebsk. It contains the remnants of 4,412 Polish officers of the Kozelsk prisoner of war camp, who were murdered in 1940 in what is called the Katyn massacre. Except for bodies of two Polish generals exhumed by German authorities in 1943 and then buried separately, all Polish officers murdered in Katyn were buried in six large mass graves. There is also a Russian part of the cemetery, where some 6,500 victims of the Soviet Great Purges of the 1930s were buried by the NKVD. The cemetery was officially opened in 2000. George Sanford is a former professor of politics at the University of Bristol, England. He specializes in Polish and East European studies. On several occasions he has been interviewed on Polish affairs in the mass media. Katyń is a 2007 Polish film about the 1940 Katyn massacre, directed by Academy Honorary Award winner Andrzej Wajda. It is based on the book Post Mortem: The Story of Katyn by Andrzej Mularczyk. It was nominated for Best Foreign Language Film for the 80th Academy Awards. Zdzisław Peszkowski, of the Jastrzębiec coat of arms was a Polish Roman Catholic priest and one of a small group of Polish army officers who managed to survive the 1940 mass execution of over 20,000 Polish citizens by NKVD, the Katyn massacre. Peszkowski was a leading advocate and chaplain for the Katyn Families Association, which works with survivors of the Katyn massacre and their families. Leonard Wilhelm Skierski was a Polish military officer and a general of the Imperial Russian Army and then the Polish Army. A veteran of World War I and the Polish-Bolshevik War, he was one of fourteen Polish generals and one of the oldest military commanders to be murdered by the NKVD in the Katyn massacre of 1940. Vasily Mikhailovich Blokhin was a Soviet Russian Major-General who served as the chief executioner of the Stalinist NKVD under the administrations of Genrikh Yagoda, Nikolai Yezhov, and Lavrentiy Beria. Baruch or Boruch Steinberg was a Polish rabbi and military officer. He was Chief Rabbi of the Polish Army during German invasion of Poland in 1939 and was murdered in the Katyn massacre by the Soviet Union in April 1940. Anti-Katyn is a propaganda whataboutery campaign intended to reduce the impact of the Katyn massacre of 1940 — when approximately 22,000 Polish citizens were murdered by the Soviet NKVD on the orders of Joseph Stalin — by referencing the deaths of thousands of Russian and Red Army soldiers at Polish internment camps from 1919–1924. The Katyn Commission or the International Katyn Commission was the International Red Cross committee formed in April 1943 under request by Germany to investigate the Katyn massacre of some 22,000 Polish nationals during the Soviet occupation of Eastern Poland, mostly prisoners of war from the September Campaign including Polish Army officers, intelligentsia, civil servants, priests, police officers and numerous other professionals. Their bodies were discovered in a series of large mass graves in the forest near Smolensk in Russia following Operation Barbarossa. Adam Solski was a soldier of the Polish Legions of World War I, a participant in the Polish–Soviet War, and a major in the Polish Army in the interwar period. Solski fought in the 1939 Invasion of Poland. Captured by the Red Army during the Soviet invasion of Poland, he was murdered in the Katyn massacre, on April 9, 1940. The Select Committee to Conduct an Investigation and Study of the Facts, Evidence, and Circumstances of the Katyn Forest Massacre was established by United States House of Representatives in 1951, during the Korean War. At that time, there was concern that the Katyn Massacre could have served as a "blueprint" for the execution of U.S. troops by Communist forces. 1 2 3 4 Fischer, Benjamin B., "The Katyn Controversy: Stalin's Killing Field", Studies in Intelligence , Winter 1999-2000. 1 2 3 4 Sanford, Google Books, p. 20–24. ↑ Stanley S. Seidner, Marshal Edward Śmigły-Rydz Rydz and the Defense of Poland, New York, 1978. 1 2 3 (in Polish) Edukacja Humanistyczna w wojsku Archived 2007-01-10 at the Wayback Machine . 1/2005. Dom wydawniczy Wojska Polskiego. ISSN 1734-6584. (Official publication of the Polish Army). Retrieved 28 November 2006. ↑ (in Polish) obozy jenieckie żołnierzy polskich (Prison camps for Polish soldiers) Encyklopedia PWN. Retrieved 28 November 2006. ↑ (in Polish) Olszyna-Wilczyński Józef Konstanty, entry at Encyklopedia PWN. Retrieved 14 November 2006. ↑ (in Polish) "Archived copy". Archived from the original on January 7, 2005. Retrieved January 7, 2005. CS1 maint: Archived copy as title (link) CS1 maint: Unfit url (link) Polish Institute of National Remembrance. 16.10.03. From Internet Archive. ↑ (in Polish) Tygodnik Zamojskim [ permanent dead link ], 15 September 2004. Retrieved 28 November 2006. ↑ (in Polish) Szack. Encyklopedia Interia. Retrieved 28 November 2006. ↑ Decision to commence investigation into Katyn Massacre, Małgorzata Kużniar-Plota, Departmental Commission for the Prosecution of Crimes against the Polish Nation, Warsaw 30 November 2004. "[...] some 250,000 Polish soldiers were taken into Soviet captivity. Some of them were released, and some escaped, but 125,400 prisoners were placed in NKVD prison camps in Kozelsk, Ostashkov, Starobelsk, Putivl, Yuzha, Oranki, Kozelshchina, and elsewhere." ↑ George Sanford (2005). Katyn and the Soviet massacre of 1940: truth, justice and memory. Psychology Press. p. 44. ISBN 978-0-415-33873-8 . Retrieved 7 May 2011. 1 2 3 4 5 Alfred J. Rieber (2000). Forced migration in Central and Eastern Europe, 1939-1950. Psychology Press. pp. 31–33. ISBN 978-0-7146-5132-3 . Retrieved 19 May 2011. 1 2 3 Simon-Dubnow-Institut für Jüdische Geschichte und Kultur (2007). Shared history, divided memory: Jews and others in Soviet-occupied Poland, 1939-1941. Leipziger Universitätsverlag. p. 180. ISBN 978-3-86583-240-5 . Retrieved 19 May 2011. ↑ See telegrams: No. 317 Archived 2009-11-07 at the Wayback Machine of September 10: Schulenburg, the German ambassador in the Soviet Union, to the German Foreign Office. Moscow, 10 September 1939-9:40 p.m.; No. 371 Archived 2007-04-30 at the Wayback Machine of 16 September; No. 372 Archived 2007-04-30 at the Wayback Machine of 17 September Source: The Avalon Project at Yale Law School. Last accessed on 14 November 2006; (in Polish) 1939 wrzesień 17, Moskwa Nota rządu sowieckiego nie przyjęta przez ambasadora Wacława Grzybowskiego (Note of the Soviet government to the Polish government on 17 September 1939 refused by Polish ambassador Wacław Grzybowski). Retrieved 15 November 2006. ↑ Sanford, pp. 22–3; See also, Sanford, p 39: "The Soviet Union's invasion and occupation of Eastern Poland in September 1939 was a clear act of aggression in international law...But the Soviets did not declare war, nor did the Poles respond with a declaration of war. As a result there was confusion over the status of soldiers taken captive and whether they qualified for treatment as PoWs. Jurists consider that the absence of a formal declaration of war does not absolve a power from the obligations of civilised conduct towards PoWs. On the contrary, failure to do so makes those involved, both leaders and operational subordinates, liable to charges of War Crimes and Crimes against Humanity." ↑ Sanford, p. 25 and p. 41. ↑ Anna M. Cienciala; Wojciech Materski (2007). Katyn: a crime without punishment. Yale University Press. p. 81. ISBN 978-0-300-10851-4 . Retrieved 19 May 2011. ↑ (in Russian)Катынь. Пленники необъявленной войны. сб.док. М., МФ "Демократия": 1999, сс.20–21, 208–210. ↑ "The Katyn Diary of Leon Gladun", last accessed on 19 December 2005, English translation of Polish document. See the entries on 25 December 1939 and 3 April 1940. ↑ "In relation to Poland the effects of the pact have been abrogated on the basis of the Sikorski-Mayski agreement".